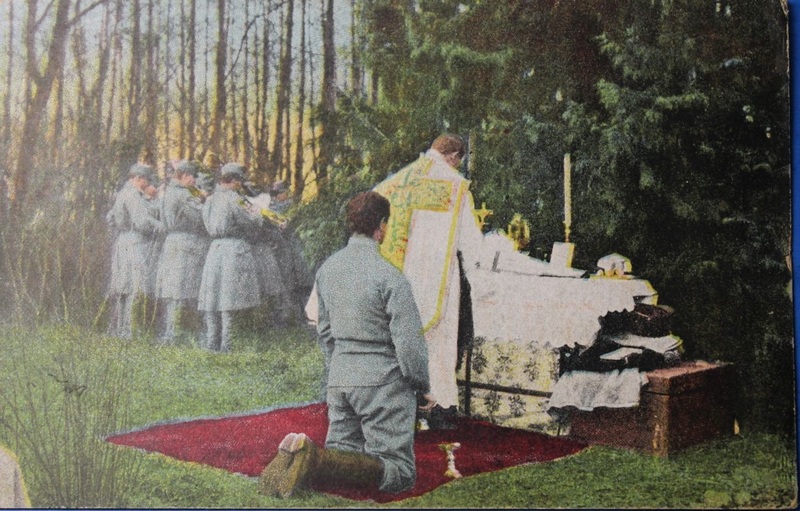 World War 1 Austro-Hungry field worship service (field mass), (author’s collection). 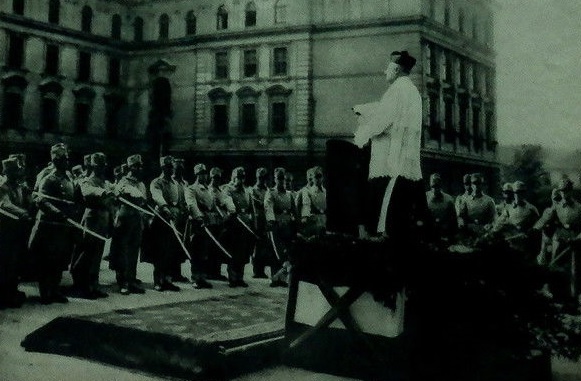 “A Scene repeated often with minor variations in many lands as the armies marched forth in 1914: The Blessing of the Swords: An Austrian Army Chaplain giving his benediction to young soldiers at the Military Academy in Vienna” (From “Mid-Week Pictorial” Published weekly by the New York Times Company, week ending July 28, 1934). 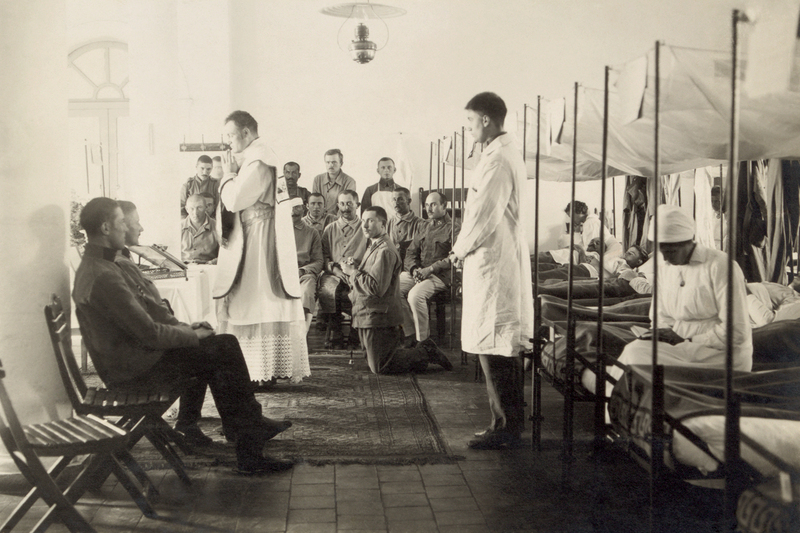 “Catholic Service in Austrian Military Hospital, Ratisbon [Ratisbonne],” 1916.